Garden-based learning reaches into a deep part of all of us. 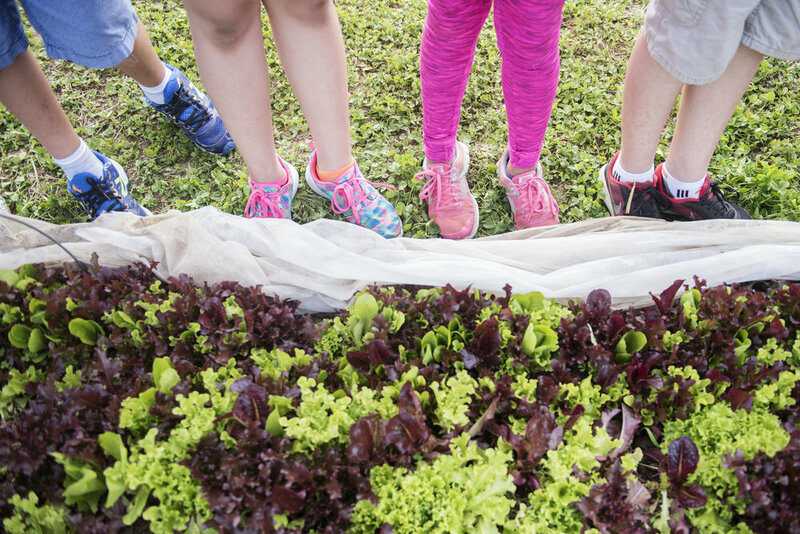 When young students plant a seed, watch it grow, harvest a vegetable and taste something that they had a hand in growing, they remember that experience. And that experience—that moment in the garden—can change them. Based in beautiful Fayetteville, Arkansas, Apple Seeds creates programs that educate and excite young students about healthy food AND increase students’ access to those healthy foods. purchase tickets to the next Kitchen Table! Healthy food is a right, not a privilege. And our community’s well-being is directly tied to theirs. It is through our partnerships with more than 60 local schools and like-minded agencies that Apple Seeds reached 6,687 students and shared more than 4,765 pounds of vegetables in 2017. Programming takes place at the Teaching Farm in the northwest corner of Gulley Park. Parking is available in the Gulley Park parking lot off of Old Wire Rd.